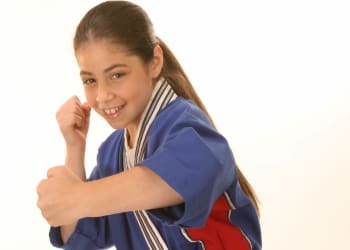 Give your child the action-packed Kids Martial Arts classes at Connecticut Martial Arts, and you're bound to witness an amazing transformation! From a new found passion for physical fitness, to steadfast discipline and unwavering self-confidence, our Kids Martial Arts classes have so much to offer. Our Kids Martial Arts program appeals to kids from age 4 and up, with exciting foundational training for Tiger Cubs students ages 4-6 and challenging courses in the Juniors program for ages 7-12. We the Martial Arts to teach balance, coordination, fine and gross motor skills and self-control and of course, respect. Kids are divided into small groups based on age and experience. Children will also learn self-defense and anti-bullying tactics in classes that are highly supervised by our expert Black Belt instructors. Our Kids Martial Arts curriculum is expertly crafted so that everyone can learn and progress. With more than 20 years of teaching children in Danbury, our program stands above all others. And For The Little One In Your Life, Take Advantage Of Our Tiger Cubs Classes! Martial Arts Training can teach even the youngest kids how to build confidence and take pride in everything they do. 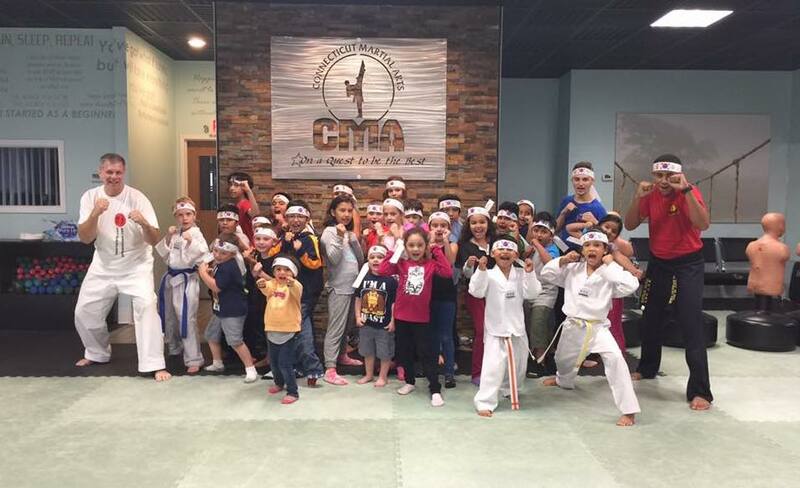 Join us at Connecticut Martial Arts and take on this specialty program designed just for students ages 4-6! Connecticut Martial Arts believes in giving every child the best opportunity for success. We accomplish this by keeping our class sizes to a minimum, so you can rest assured that your child will get plenty of one-on-one instruction with our world-class Black Belt masters. THE BEST THING YOU CAN DO FOR YOUR CHILD! With new Kids Martial Arts classes starting this month, there's no reason to wait to get started. 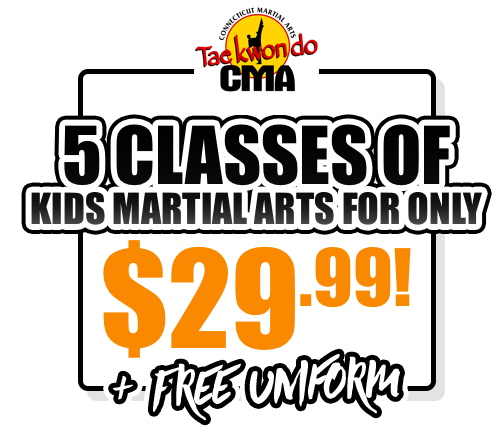 And for a limited time, we're offering a very special introductory price on our Kids Martial Arts classes. 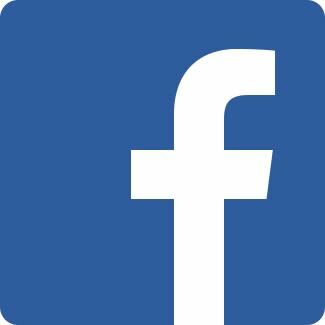 To learn more, just complete the short form on this page. We'll give you all the information you need to get your child started in the fun and rewarding Kids Martial Arts classes at Connecticut Martial Arts.